On April 5, 2019, Stanley Robert “Bob” Tanner’s last dream in life came true. At age 96 he was reunited with his wife Kathie in death, leaving behind six children and 26 grandchildren. Dad was born on May 2, 1922, in Milford, Utah, to Stan and Arline Tanner. In the spring of 1933, he moved with his family to California, where he lived most of his life. As a youth Dad was an avid reader. He would take a great book, peanut butter sandwiches and a quart bottle of lemonade up a pepper tree to a platform he had built in its boughs and lose track of time. He was also a great athlete, lettering in football and baseball during his days at Venice High School. In September 1942, after spring semester at Santa Monica City College, Dad was accepted as a naval aviation cadet and received his first flight training in St. George, Utah. He became “Fantan” to his pilot buddies who respected his prowess in the cockpit. During World War II he served in the South Pacific where he was shot down during a fighter sweep of Clark Field in the Philippines. Dad faced down fear and avoided capture by living on the move with a Filipino “Huk” leader opposed to the Japanese presence. He would later receive the Purple Heart, the Air Medal and the World War II Medal for his war efforts. Toward the end of the war Dad was found by the U.S. Army and flown home for treatment of his war injuries. It was at this time, on March 17, 1945, that he married the girl of his dreams Kathryn Lau. He had set his sights on her before the war. It was a whirlwind marriage between hospital treatments for Dad and a rough start together. They became the proud parents of three sons, Marsh, Scott and Steve, and three daughters, Susan Daly, Maryanne Jackson and Barbara Tanner. Dad encouraged his children to work hard and save for what they wanted. He enjoyed family games and kibitzing at cards. He loved music and encouraged music lessons. He was adventuresome enough to build a sailboat which his family enjoyed. He worked hard and played hard. Dad graduated from the American Institute of Banking as an honor student. He also graduated from the Pacific Coast Banking School at the University of Washington in Seattle. Working for Bank of America until his retirement, he started as a trainee in June 1946 and retired as a group vice president responsible for the administration of credit for 130 branch banks in June 1983. Dad had a reputation for being tough but fair and helpful in handling difficult credits. Dad’s enterprising spirit manifested itself in many other ways. 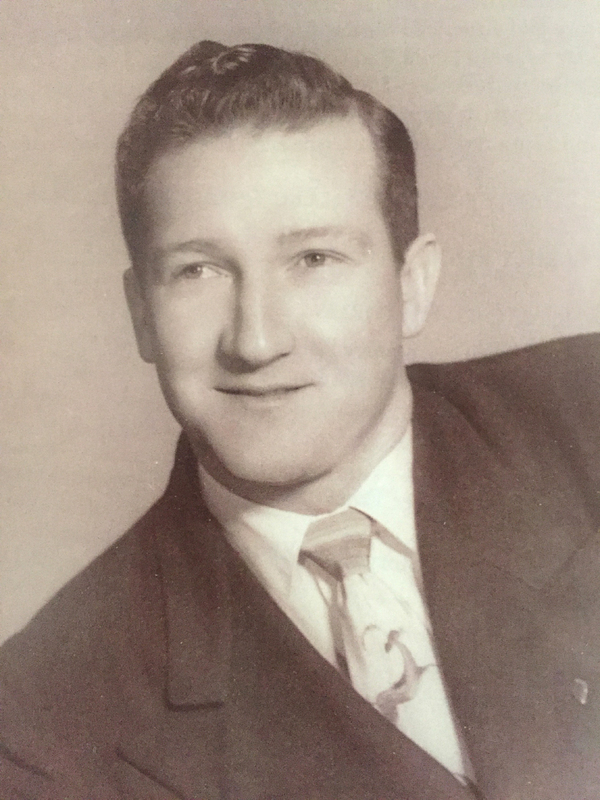 He formed a Dixieland band and played the trombone, sang with a barbershop chorus in Pasadena, served with his wife in the California Los Angeles Mission of The Church of Jesus Christ of Latter-day Saints, served as an ordinance worker in the Los Angeles Temple and organized Tandal, a family financial investment partnership. In all his pursuits, he was wholehearted and hardworking, entirely devoted to his family. Though we will miss him, we rejoice that he is home at last. Dad is survived by his sisters, Irene Skinner and Geri Sorensen and his brother Kirk. A funeral service will be held on Saturday, April 13, at 11 a.m. at The Church of Jesus Christ of Latter-day Saints on 415 N. Westridge Drive in St. George, Utah. There will be a viewing Friday, April 12, from 6-7 p.m. at Spilsbury Mortuary, 110 S. Bluff St., St. George, and prior to services Saturday from 10-10:45 a.m. at the church. Family and friends are invited to sign the online guestbook at Spilsbury Mortuary online.